Terry Albritton, 50, American shotputter. Manuel Ausensi, 85, Spanish opera singer. R. L. Burnside, 78, American blues musician. Jacob A. Marinsky, 87, American chemist, co-discoverer of the element Promethium. Yang Kuan, 91, Chinese historian. Terence Hillary Albritton was an American athlete, former shot put world record holder, and coach. He was born in Newport Beach, California. Manuel Ausensi i Albalat was a Spanish baritone opera singer from Catalonia. R. L. Burnside was an American blues singer, songwriter, and guitarist. He played music for much of his life but received little recognition before the early 1990s. In the latter half of that decade, Burnside recorded and toured with Jon Spencer, garnering crossover appeal and introducing his music to a new fan base in the punk and garage rock scenes. Tom Bailey, 56, American footballer. 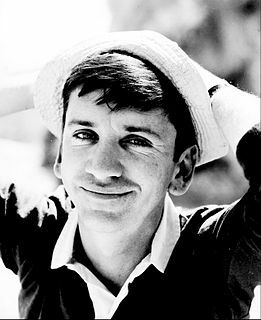 Bob Denver, 70, American actor ( Gilligan's Island ), complications from cancer treatment. Warren Thomas, 47, American comedian. George Thomas Bailey was an American football running back in the National Football League. He was a 10th round selection in the 1971 NFL Draft out of Florida State University. He played four seasons for the Philadelphia Eagles (1971–1974). After his professional football career, Bailey earned an MBA from the University of South Florida and then began a successful executive career in multiple industries; the consumer products industry, the wholesale pharmaceutical industry,and his own successful IPO and corporation consulting firm. George (Tom) raised two children; Erin and Thomas with his wife Susan O'Shea Bailey in the Dallas, Texas area for the majority of his life. He died on September 2, 2005 in Jacksonville Beach, Florida due to a massive heart attack and complications from atherosclerosis. During his tenure at Florida State University, Tom Bailey held and still holds some of Florida State University's top athletic and running back statistics which include the first touchdown in the inaugural Peach Bowl. An endowment scholarship in his name was created by Florida State University athletic alumni in 2010, this scholarship being awarded to future Florida State University athletes. Gilligan's Island is an American sitcom created and produced by Sherwood Schwartz. The show had an ensemble cast that featured Bob Denver, Alan Hale Jr., Jim Backus, Natalie Schafer, Russell Johnson, Tina Louise, and Dawn Wells. It aired for three seasons on the CBS network from September 26, 1964, to April 17, 1967. The series followed the comic adventures of seven castaways as they attempted to survive the island on which they had been shipwrecked. Most episodes revolve around the dissimilar castaways' conflicts and their unsuccessful attempts, for whose failure Gilligan was frequently responsible, to escape their plight. Rudolf Bäcker, 91, German World War II soldier. R. S. R. Fitter, 92, British natural historian. Richard Sidney Richmond Fitter was a British naturalist and author. He was an expert on wildflowers and authored several guides for amateur naturalists. Robert W. Funk was an American biblical scholar, founder of the Jesus Seminar and the nonprofit Westar Institute in Santa Rosa, California. Funk, an academic, sought to promote research and education on what he called biblical literacy. His approach to hermeneutics was historical-critical, with a strongly skeptical view of orthodox Christian belief, particularly concerning the historical Jesus. He and his peers described Jesus' parables as containing shocking messages that contradicted established religious attitudes. The Jesus Seminar was a group of about 50 critical Biblical scholars and 100 laymen founded in 1985 by Robert Funk that originated under the auspices of the Westar Institute. The seminar was very active through the 1980s and 1990s, and into the early 21st century. Lloyd Avery II, 36, American actor. Dame Nancy Buttfield, 92, Australian politician. Stanley Jennings, 84, American cartoonist, journalist. Lloyd Avery II was an American actor. He was best known for his character in John Singleton's Oscar-nominated film Boyz n the Hood (1991), as the triggerman who murdered high school football star Ricky Baker and was later killed in retaliation. Dame Nancy Buttfield, was an Australian Senator and the first woman to serve in the Australian Parliament as a representative of the state of South Australia. Stanley Jennings was a cartoonist, photographer, graphic designer, and journalist. Hank Anderson 84, American basketball coach and athletics director. Rizal Nurdin, 57, Indonesian politician, Governor of North Sumatra, Mandala Airlines Flight 091 crash. Raja Inal Siregar, 67, Indonesian politician, former Governor of North Sumatra, Indonesia, Mandala Airlines Flight 091 crash. Thor Henry "Hank" Anderson was a college basketball coach and athletic director (AD). He was the head coach at Gonzaga University for 21 seasons, from 1951 to 1972. While at Gonzaga, he compiled a 290–275 (.513) record. Anderson later coached two seasons at Montana State University at 28–24 (.538) for a career record of 318–299 (.515). He finished his career in college athletics as the AD at Northern Arizona University. Haji Tengku Rizal Nurdin was the 14th and 15th Governor of North Sumatra, Indonesia. He served from 1998 until his death on September 5, 2005. In that time he was serving in his second period (2003–2008). In the previous period (1998–2003), he was also the Governor of North Sumatra. North Sumatra is a province of Indonesia. It is located in the northwest of the island of Sumatra, and its capital is Medan. North Sumatra is the fourth most populous province in Indonesia after West Java, East Java and Central Java and the most populous Indonesian province outside Java, with over 13.5 million inhabitants in 2014. Hasan Abidi, 76, Pakistani journalist and poet. Huang Kun, 85, Chinese physicist. William John Kennedy, 86, Australian Aboriginal rights activist. Perugu Siva Reddy, 84, Indian eye surgeon. Omar Ali-Shah, 82/3, Afghan Sufi teacher. Moussa Arafat, 65, Palestinian former head of general security in Gaza, cousin of Yasser Arafat, murdered. Sergio Endrigo, 72, Italian singer and songwriter. Hope Garber, 81, Canadian entertainer and television personality, Alzheimer's disease. Nicolino Locche, 66, Argentine world boxing champion. Gilbert Elliot-Murray-Kynynmound, 6th Earl of Minto, 77, Scottish aristocrat. L. J. K. Setright, 74, British motoring journalist. Norman Wylie, Lord Wylie, 81, Scottish politician, Lord Advocate (1970–1974). Boris Bittker, 88, American legal academic. Noel Cantwell, 73, Irish soccer player, former Manchester United captain, cancer. Donald Horne, 83, Australian academic, historian, philosopher and intellectual. Lewis Platt, 64, American businessman and corporate director, former Hewlett Packard CEO. Samim Bilgen, 95, Turkish lawyer and musician. Giuliano Bonfante, 101, Italian linguistics expert and centenarian. Stanley Dancer, 78, American record-setting harness racing driver. André Pousse, 85, French actor. Tarzan Taborda, 70, Portuguese wrestling champion, heart attack. Mel Wanzo, 74, American jazz trombonist. Sir Hermann Bondi, 85, Austrian-born mathematician & cosmologist; co-advocate (with Gold & Hoyle) of the Steady State theory. Ken Burgess, 77, Canadian politician. Clarence "Gatemouth" Brown, 81, American blues musician. Odd Berg, 98, Norwegian ship owner. Steve de Shazer, 65, American psychotherapist, founder of Brief Family Therapy Center in Milwaukee, Wisconsin and developer of solution focused brief therapy. Chris Schenkel, 82, American sportscaster, emphysema. Henryk Tomaszewski, 91, Polish internationally recognized graphic artist. Helmut Baierl, 78, German playwright. Stephen Capen, 59, American radio presenter. Ronald Leigh-Hunt, 88, British actor. Alain Polaniok, 46, French footballer. Ann Barnes, 60, American actress and singer. Jack Green, 83, Australian cricketer. Haydee Yorac, 64, Filipino lawyer and public servant. Kent Bellows, 56, American painter. Frances Newton, 40, American executed for murder in Texas, first African American woman executed there since 1858. Kenneth Turpin, 90, English former Provost of Oriel College, Oxford and Vice-Chancellor of University of Oxford. Vladimir Volkoff, 72, French-born Russian spy novelist. Robert Wise, 91, American film director ( The Sound of Music , West Side Story ), heart failure. Samuel Azu Crabbe, 77, Ghanaian jurist, Chief Justice of Ghana (1973-1977). Guy Green, 91, British film director and noted cinematographer. Jeronimas Kačinskas, 98, Lithuanian-born classical composer and conductor. Sid Luft, 89, American film producer, Judy Garland's third and last surviving husband. Arkadiusz Gołaś, 24, Polish volleyball player, member of Poland men's national volleyball team in 2001–2005, a participant of the Olympic Games 2004. Gordon Gould, 85, American pioneer in laser technology. Constance Moore, 85, American actress (Buck Rogers). Mzukisi Sikali, 34, South African boxer, murdered during street robbery. Joel Hirschhorn, 67, American Academy Award-winning songwriter. Jacques Lacarrière, 79, French author and classical translator. Alfred Reed, 84, American neo-classical composer. Marta Bohn-Meyer, 48, American pilot and engineer for NASA. Richard Britton, 34, Northern Ireland motorcycle racer, racing accident. John Bromfield, 83, American television actor. Marv Grissom, 87, American baseball player and coach. Richard Holden, 74, Canadian lawyer and politician. Michael Park, 39, British rally co-pilot, rally accident. Rupert Riedl, 80, Austrian zoologist and advocate of evolutionary epistemology. Chas Smit, 23, South African musician for acoustic rock band Plush, hit by car. Matest M. Agrest, 90, Russian ethnologist. Simon Wiesenthal, 96, Austrian Holocaust survivor and Nazi hunter. Patrick Alexander, 65, Irish-born Australian poet. Lena Brogren, 76, Swedish actress. Humphrey Kelleher, 59, Irish Gaelic footballer. Molly Yard, 93, American feminist, former president of the U.S. National Organization for Women. Monty Basgall, 83, American baseball coach. Rolf Berntzen, 85, Norwegian actor. Roger Brierley, 70, British actor. Daniel Podrzycki, 42, Polish left wing politician, presidential candidate. Don Adams, 82, American actor (Get Smart, Inspector Gadget), lung infection while battling a bone lymphoma. Georges Arvanitas, 74, French-born Greek jazz pianist and composer. M. Scott Peck, 69, American psychiatrist and author. Friedrich Peter, 84, Austrian politician (chairman of the Freedom Party of Austria 1958-1978), controversial as a former member of the Waffen-SS. Monty Gopallawa, 63, Sri Lankan politician, son of former Sri Lankan president William Gopallawa and governor of Central Province, Sri Lanka. Shawntinice Polk, 22, American center on the University of Arizona's women's basketball team, pulmonary embolism. Herman Ashworth, 32, American convicted murderer, executed in Ohio. Karl Decker, 84, Austrian football player and manager. Ronald Golias, 76, Brazilian comedian. Brett Kebble, 41, South African mining magnate, murdered. John McCabe, 84, American biographer of Laurel and Hardy. Ahmad Abdullah, 64, Malaysian accountant and politician. Pol Bury, 83, Belgian sculptor. Sir Mark Heath, 78, British diplomat, Ambassador to the Holy See. Leo Sternbach, 97, Austrian-native chemist, known as the "Father of Valium". Gennadi Sarafanov, 63, Soviet former Soyuz 15 cosmonaut. Ivar Karl Ugi, 75, German chemist. Basil Glass, 79, Northern Irish politician. Sergei Starostin, 52, Russian linguist. The following is a list of notable people who died in August 2005. ↑ Sullivan, James (January 6, 2006). "Cowsill Found Dead in N.O." Rolling Stone . Archived from the original on January 3, 2007. Retrieved March 28, 2018. ↑ "Zdobysław Stawczyk". Sports Reference . Retrieved March 28, 2018. ↑ "Deaths Elsewhere". The Baltimore Sun . September 5, 2005. Retrieved March 28, 2018. ↑ Goodstein, Laurie (September 10, 2005). "R. W. Funk, 79, Creator of Jesus Seminar, Dies". The New York Times. Retrieved March 28, 2018. ↑ Fox, Margalit (September 8, 2005). "Bernard S. Meyer, 89; Served on New York's Top Court". The New York Times. Retrieved March 28, 2018. ↑ "Jens Nygård". Sports Reference. Retrieved March 28, 2018. ↑ "Chief Justice Rehnquist has died". CNN . September 4, 2005. Retrieved March 28, 2018. ↑ "Jim Rossi". Sports Reference. Retrieved March 28, 2018. ↑ "Ekkehard Schall". The Stage . September 26, 2005. Retrieved March 28, 2018. ↑ Alder, Phillip (April 29, 2015). "A Tireless Champion of the Game". The New York Times. Retrieved March 28, 2018. ↑ Pattullo, Polly (September 8, 2005). "Dame Eugenia Charles". The Guardian . Retrieved March 28, 2018. ↑ Holley, Joe (September 13, 2005). "Sgt. Mark Matthews Dies; at 111, Was Oldest Buffalo Soldier". The Washington Post . Retrieved March 28, 2018. ↑ "Dr. Oswald Hoffmann, speaker of 'The Lutheran Hour', dies". Lutheran Church–Missouri Synod . September 7, 2005. Retrieved March 28, 2018. ↑ "Perry Stephens". Find a Grave . Retrieved March 28, 2018. ↑ Pearce, Jeremy (September 23, 2005). "Theodore Barber Dies at 78; Was Major Critic of Hypnosis". The New York Times. Retrieved March 28, 2018. ↑ Johnson, Ken (October 1, 2005). "Lea Nikel, Abstract Painter and One of Israel's Top Artists, Dies at 86". The New York Times. Retrieved March 28, 2018. ↑ "Around The Horn: Ex-umpire Charlie Williams dies". Detroit Free Press . September 17, 2005. Archived from the original on September 18, 2005. Retrieved March 28, 2018. ↑ Lavietes, Stuart (November 7, 2005). "E. Stewart Williams, 95, 'Desert Modern' Architect, Dies". The New York Times. Retrieved March 28, 2018. ↑ "General News: Messias José Baptista dies". International Association of Athletics Federations . September 12, 2005. Retrieved March 28, 2018. ↑ "Al Casey Dies at 89; Early Jazz Guitarist". The New York Times. September 13, 2005. Retrieved March 28, 2018. ↑ Martin, Douglas (September 13, 2005). "Joseph Smitherman, Mayor in Selma Strife, Dies at 75". The New York Times. Retrieved March 28, 2018. ↑ Chang, Kenneth; Leary, Warren (September 25, 2005). "Serge Lang, 78, a Gadfly and Mathematical Theorist, Dies". The New York Times. Retrieved March 28, 2018. ↑ "Baby born to brain-dead woman dies". CNN. September 13, 2005. Archived from the original on September 16, 2005. Retrieved March 28, 2018. ↑ McClain, John (September 14, 2005). "Former Oiler Fritsch dead at 60". Houston Chronicle . Retrieved March 28, 2018. ↑ "Wife of Maine's First Independent Governor Dies at 83". WLBZ . November 10, 2005. Archived from the original on November 10, 2005. Retrieved March 28, 2018. ↑ Harding, Colin (September 14, 2005). "Julio Cesar Turbay Ayala". The Independent . Retrieved March 28, 2018. ↑ Long, Tom (September 16, 2005). "Dr. William Berenberg, 'Godfather' at Children's". The Boston Globe . Retrieved March 28, 2018. ↑ Astor, Dave (September 19, 2005). "Comic Creator and 'Cartoonist Profiles' Editor Jud Hurd Dies". Editor & Publisher . Archived from the original on September 23, 2005. Retrieved March 28, 2018. ↑ "William S. Bartman, 58, Art Patron, Is Dead". The New York Times. September 22, 2005. Retrieved March 28, 2018. ↑ Martin, Douglas (September 17, 2005). "Stanley Burnshaw, Poet, Editor and Critic, Dies at 99". The New York Times. Retrieved March 28, 2018. ↑ O'Connor, Anahad (September 19, 2005). "Jay M. Gould Dies at 90; Warned of A-Plant Risks". The New York Times. Retrieved March 28, 2018. ↑ Roberts, Sam (September 20, 2005). "Donald S. Harrington, 91, Liberal Crusader, Dies". The New York Times. Retrieved March 28, 2018. ↑ Lechard, Xavier (January 6, 2006). "Harold Q. Masur dies". The John Dickson Carr Collector. Archived from the original on December 22, 2015. Retrieved March 28, 2018. ↑ Goldstein, Richard (September 18, 2005). "John J. McMullen Dies At 87; Ex-Owner of Devils and Astros". The New York Times. Retrieved March 28, 2018. ↑ "Clendenon, 1969 World Series MVP, dead at 70". ESPN . Associated Press. September 18, 2005. Retrieved March 28, 2018. ↑ Chinen, Nate (October 5, 2005). "Jack Lesberg, 85, Bass Player Who Worked With Jazz Greats, Dies". The New York Times. Retrieved March 28, 2018. ↑ "Obituaries: David E. Mark, State Department Official". The Washington Post. September 24, 2005. Retrieved March 28, 2018. ↑ Estrada, Louie (September 30, 2005). "Obituaries: Edward Stutman; Prosecuted Nazis in U.S." The Washington Post. Retrieved March 28, 2018. ↑ Wohl, Alex (September 19, 2005). "Former AFT President Sandra Feldman Dies at Age 65". American Federation of Teachers . Archived from the original on June 2, 2006. Retrieved March 28, 2018. ↑ Martin, Douglas (September 24, 2005). "Noel Mander, Organ Maker, Is Dead at 93". The New York Times. Retrieved March 28, 2018. ↑ "Clint C. Wilson Sr., longtime LA Sentinel cartoonist, dies at 90". The Mercury News . Associated Press. September 21, 2005. Archived from the original on November 13, 2005. Retrieved March 28, 2018. ↑ "Longtime LA Sentinel cartoonist, dies at 90". KLTV . Archived from the original on September 28, 2007. Retrieved March 28, 2018. ↑ Skillen, Daphne (October 4, 2005). "Yegor Yakovlev". The Guardian. Retrieved March 28, 2018. ↑ Kline, Benjamin (August 19, 2005). "Roz Young 1912–2005". Dayton Daily News. Retrieved 13 November 2018. ↑ Cartwright, Garth (October 4, 2005). "Willie Hutch". The Guardian. Retrieved March 28, 2018. ↑ "Isao Nakauchi, 83, Importer of U.S.-Style Retailing to Japan, Dies". The New York Times. Associated Press. September 21, 2005. Retrieved March 28, 2018. ↑ Miller, Stephen (September 23, 2005). "William Vacchiano, 93, Principal Trumpeter of N.Y. Philharmonic". The New York Sun . Retrieved March 28, 2018. ↑ Goldstein, Richard (September 22, 2005). "Joe Bauman, 83, Who Hit 72 Homers as Minor Leaguer, Dies". The New York Times. Retrieved March 28, 2018. ↑ Martin, Douglas (October 2, 2005). "Franzi Groszmann, 100, Dies; Sent Daughter From Nazi Lands". The New York Times. Retrieved March 28, 2018. ↑ Fox, Margalit (September 25, 2005). "Tobias Schneebaum, Chronicler and Dining Partner of Cannibals, Dies". The New York Times. Retrieved March 28, 2018. ↑ Martin, Douglas (September 28, 2005). "Harry Heltzer, 94, Inventor of Reflective Signs, Dies". The New York Times. Retrieved March 28, 2018. ↑ "Mexico minister dies in air crash". BBC News. September 22, 2005. Retrieved March 28, 2018. ↑ Jiménez, Lester (September 23, 2005). "Estuve con él hasta que la muerte nos separó". Primera Hora (in Spanish). Retrieved March 28, 2018. ↑ "Preben Philipsen". Dansk Film Database (in Danish). Retrieved March 28, 2018. ↑ Pearce, Jeremy (September 30, 2005). "Joseph Smagorinsky, 81, a Pioneer in Weather Forecasting, Is Dead". The New York Times. Retrieved March 28, 2018. ↑ "Albert Tocco, 77, Chicago Mob Boss, Dies". The New York Times. Associated Press. October 2, 2005. Retrieved March 28, 2018. ↑ "Joop Doderer overleden". de Volkskrant (in Dutch). ANP. September 22, 2005. Retrieved March 28, 2018. ↑ "Gunmen kill Kyrgyzstan politician". BBC News. September 22, 2005. Retrieved March 28, 2018. ↑ Alfano, Sean (September 22, 2005). "Boxer Dies Five Days After Fight". CBS News . Retrieved March 28, 2018. ↑ "Renowned mathematician Hans Samelson dies; memorial service set for Nov. 6". Stanford University . October 24, 2005. Retrieved March 28, 2018. ↑ Wainwright, Hilary (September 30, 2005). "Apolonio de Carvalho". The Guardian. Retrieved March 28, 2018. ↑ Vallance, Tom (September 25, 2005). "Lord Brabourne". The Independent. Retrieved March 28, 2018. ↑ Martin, Douglas (October 4, 2005). "Betty Leslie-Melville, 78, Dies; Helped Save Giraffe Breed". The New York Times. Retrieved March 28, 2018. ↑ "Filiberto Ojeda Ríos". The Economist . September 29, 2005. Retrieved March 28, 2018. ↑ "'Little Rascals' Actor Thomas Bond Dies". ABC News . September 25, 2005. Archived from the original on December 29, 2005. Retrieved March 28, 2018. ↑ Leary, Warren E. (October 10, 2005). "Leopold B. Felsen, 81, Expert on the Properties of Waves, Dies". The New York Times. Retrieved March 28, 2018. ↑ "Byron Johnson". The Kansas City Star . September 27, 2005. Retrieved March 28, 2018– via Legacy.com. ↑ Litsky, Frank (September 27, 2005). "George Archer, 65, Winner of Golf's Masters in 1969, Dies". The New York Times. Retrieved March 28, 2018. ↑ "Zarqawi's number two 'shot dead'". BBC News. September 27, 2005. Retrieved March 28, 2018. ↑ Fox, Margalit (September 27, 2005). "Urie Bronfenbrenner, 88, an Authority on Child Development, Dies". The New York Times. Retrieved March 28, 2018. ↑ Joffe, Lawrence (November 1, 2005). "Lionel Kochan". The Guardian. Retrieved March 28, 2018. ↑ "Steve Marcus, 66; Sax Player Was Pioneer of Jazz Fusion". Los Angeles Times . September 29, 2005. Retrieved March 28, 2018. ↑ "Author Helen Cresswell dies at 71". BBC News. September 27, 2005. Retrieved March 28, 2018. ↑ Potts, Monica (October 9, 2005). "Jerry Juhl, 67, Award-Winning Head Writer for Muppet Shows, Is Dead". The New York Times. Retrieved March 28, 2018. ↑ "Ronald Pearsall". The Daily Telegraph . October 24, 2005. Retrieved March 28, 2018. ↑ "Regisseur Willem van de Sande Bakhuyzen overleden". de Volkskrant (in Dutch). ANP. September 27, 2005. Retrieved March 28, 2018. ↑ Gates, Anita (September 29, 2005). "Mary Lee Settle, 87, Author of 'Beulah' Novels, Is Dead". The New York Times. Retrieved March 28, 2018. ↑ "Indiana executes man who killed wife". CNN. September 28, 2005. Archived from the original on September 30, 2005. Retrieved March 28, 2018. ↑ Martin, Douglas (September 29, 2005). "Constance Baker Motley, Civil Rights Trailblazer, Dies at 84". The New York Times. Retrieved March 28, 2018. ↑ "Olga de Alaketu, 80, Afro-Brazilian Priestess". The New York Times. Associated Press. October 4, 2005. Retrieved March 28, 2018. ↑ Smith, Roberta (October 4, 2005). "Patrick Caulfield, 69, Painter Of Style-Bending Pop Art Dies". The New York Times. Retrieved March 28, 2018. ↑ Fox, Margalit (October 1, 2005). "Benjamin DeMott, 81, Author and Cultural Critic, Dies". The New York Times. Retrieved March 28, 2018. ↑ Severson, Kim (September 30, 2005). "Austin Leslie, 71, Dies; Famed for Fried Chicken". The New York Times. Retrieved March 28, 2018. ↑ "Tributes to a man of principle". The Journal . October 1, 2005. Retrieved March 28, 2018. ↑ Sullivan, Patricia (October 6, 2005). "GU Theologian, Catholic Activist Monika Hellwig Dies". The Washington Post. Retrieved March 28, 2018.